The Lesser Kestrel (Falco naumanni) is a small falcon at the center of HORUS, a project aiming to develop a system for automatic real-time monitoring of colonial falcons at Doñana Biological Station, a public Research Institute in Spain. 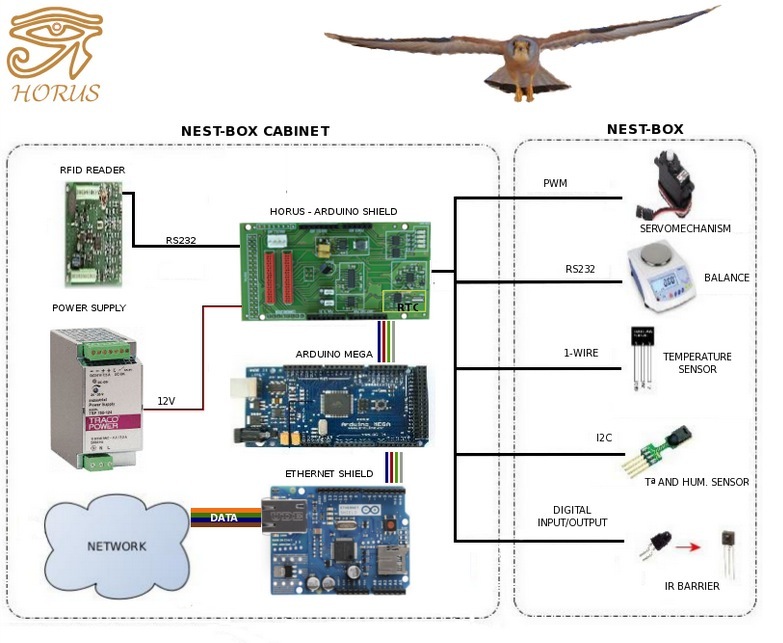 The falcons breed in nest-boxes on the window sills which the research team converted into “smart nest-boxes”: they have sensors to identify the falcons entering the box using RFID tags, but also cameras and other equipment controlled by and Arduino Mega. This board is based on the ATmega2560, an economic, low power and robust microcontroller. It controls and processes the nest’s sensor information. This board communicates with sensors and other components, and processes the collected information that is sent to the process server over the communication interface. – Communicates with the process server over a communication interface, and synchronize clock time with this. – Checks infra-red barriers. Each nest-box has two infra-red barriers at both extremes of the corridor. 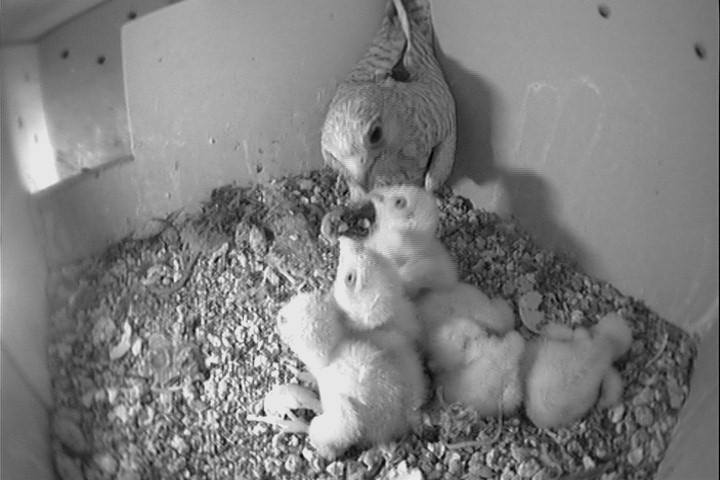 The sequence in which they are activated indicates whether birds enter or leave the nest-box. – Checks if the RFID reader has read a code from ringed kestrels. – Obtains the body mass measurement from a digital balance. – Reads the temperature and humidity of the nest. – Controls the RFID reader to identify individuals. You can follow daily updates on their Facebook page and find all the info on the page of the Horus project and on the Wiki. Pretty great post. I just stumbled upon your weblog and wanted to say that I’ve really loved surfing around your blog posts. After all I will be subscribing on your feed and I am hoping you write once more very soon!